A 73-year-old man hired as a shopping mall Santa Claus has been arrested in Regina for being drunk in public. The man was escorted out of a downtown mall Friday. Best Wishes For Health and Happiness!! 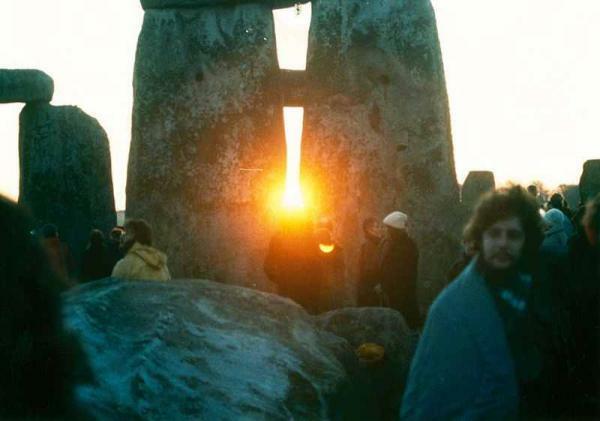 This pic was taken at Stonehenge in England a few hours ago - Winter Solstice. Anyone who enjoyed the Lord of the Rings movies will be excited about THE HOBBIT by Peter Jackson - slated for release on December 14, 2012. Security cameras caught this Christmas delivery of a computer monitor! If there is any province in the nation where the main stream media has completely bought into a political party, it is Saskatchewan. Yesterday, Canada's Health Ministers met and were told that a ceiling on health transfer payments is looming. National media reported that 6 provinces are outraged (Man - Ont - Que - PEI - NS - Nfld) and that BC, NB and Alberta support the federal Conservatives. 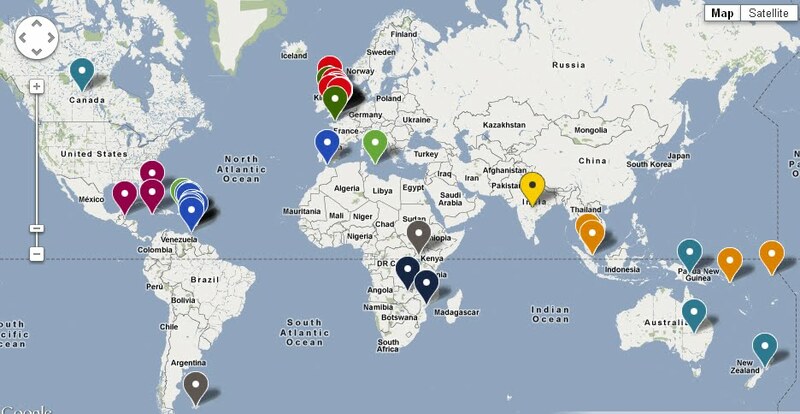 Not one mention of Saskatchewan. Now look ... we KNOW that whatever Harper says immediately becomes Saskatchewan Government policy. But not even one Saskatchewan news outlet (CBC - Regina Leader-Post - Saskatoon Star Phoenix - Rawlco Radio, etc) has reported Saskatchewan's official position. Journalists, news reporters and media outlets in Saskatchewan are not representing the public interest. 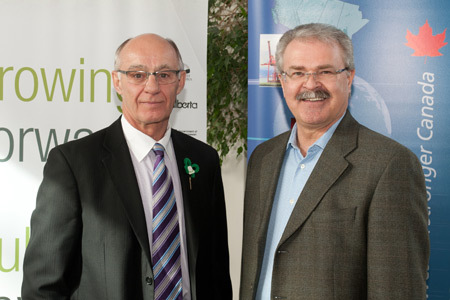 Corporate media policy in Saskatchewan is based on outright support for Brad Wall and Stephen Harper. No questions are asked. 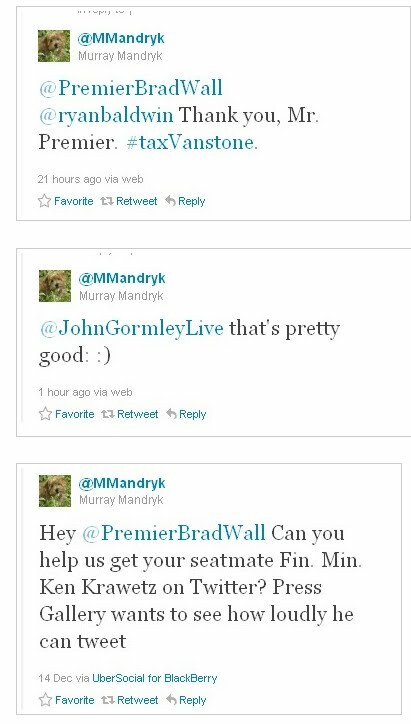 In fact if you go on Twitter and take a look at the accounts of the (supposed) two most prominent political reporters in Saskatchewan, all you will see is their ongoing 'ha ha' tweets with a Right wing radio talk show host and Premier Brad Wall. Nice. Despite protestations from a CBC staffer and one from the Leader-Post, I stand by what I said in the title of this post. I posted the above yesterday morning an hour before noon. At that time THERE WERE NO stories on the CBC Sask website nor the L-P website. CBC carried a story around 5:00 PM and the LP has coverage today. The earliest MSM story on the topic was at about 1:00 PM yesterday on the NTR website. North Korean leader Kim Jong-il died on Saturday at age 69, North Korean state television reported on Monday. An announcer said he died of physical and mental over-work. It would have been tragic enough if he had just killed himself. No, he killed 3 others plus himself because a young woman would not do exactly what he wanted. Women are not property! Raise your sons to understand that. "OTTAWA — The research firm at the centre of the controversy over calls made to Liberal MP Irwin Cotler’s constituents did extensive work in the last election for Conservative candidates — including House of Commons Speaker Andrew Scheer, who on Tuesday rejected Cotler’s breach of privilege claim. 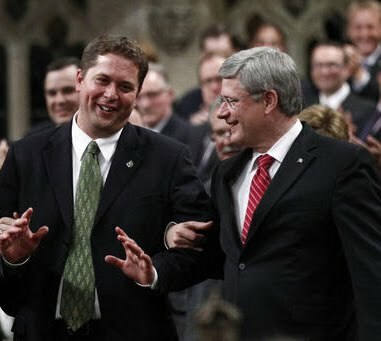 Scheer ruled on Tuesday that Conservatives’ calls to Irwin Cotler’s constituents saying he might resign were “reprehensible” but, based on technicalities, he did not find a breach of Cotler’s privileges as an MP. 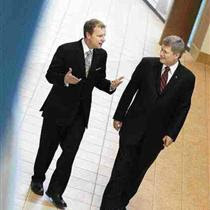 Not mentioned by Scheer was that the market research firm hired to make the calls — Ontario-based Campaign Research Inc. — had also done work on Scheer’s election campaign in Saskatchewan in the spring. As a result, the official opposition NDP wants Scheer to reconsider his ruling over the dirty-tricks allegations in Cotler’s riding. NDP justice critic Joe Comartin said Wednesday that a court judge in the same situation would certainly have recused himself from making a ruling. Scheer could allow the deputy Speaker, NDP MP Denise Savoie, to rule on Cotler’s breach of privilege complaint. But Comartin, a former criminal defence lawyer, allowed that he knew of no precedent for that in such a high-profile decision, either in Canada or Britain." -Conservative Party's 'dirty tricks' squad worked for House Speaker Sheer! 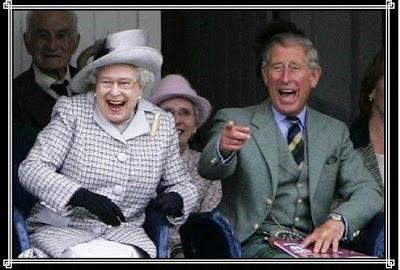 England's Dinosauric Royal Family About To Tour The World Costing Hundreds Of Millions Of Wasted Tax Dollars. STAY HOME FOR GAWD'S SAKE!! 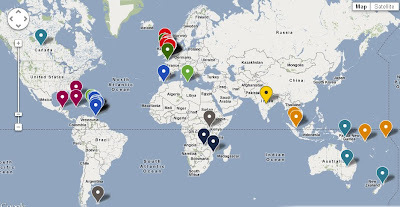 Taxpayers around the British Commonwealth will soon be forking out millions and millions of dollars to host the English Queen and her brood as part of her 60th anniversary activities. Fortunately for Canada, we will only have to endure one visit - from Prince Charles and Camila. Unfortunately, it is my home province of Saskatchewan that will have to pick up the tab for this free-loading event. It's the 21st Century folks. All of this Royal nonsense should end. STAY HOME! Have a little birthday cake at Buckingham Palace and leave the rest of the world alone. "In her first report, released Thursday, Lysyk fairly, but firmly lambasted the Sask. Party government for the accounting methodology it's using to hide the fact the province is actually running a $304-million deficit this year." "The provincial auditor is criticizing the way the government tells the public about the state of its finances. In her latest report released Thursday, auditor Bonnie Lysyk said the government has been recently talking about a $25-million surplus when it should be focusing on a $304-million deficit. "Simply put, the way that Saskatchewan publicly reports its annual surpluses and deficits to the citizens of Saskatchewan is out of sync with the rest of Canada," Lysyk said in a news release. The government reported a $25 million "pre-transfer" surplus in its 2011-12 mid-year financial report. But Lysyk points out that's based on the "general revenue fund", which covers government departments, but not Crown corporations. Lysyk noted that general revenue fund finances look rosier when money comes in from the province's so-called rainy day fund — although it's essentially a case of the government taking money from one pocket and putting it into another. A more useful measure of government finances would the "summary financial statements" — used by the federal government and other provinces — which look at the entire operations of government, she said. The $304 million deficit corresponds to the summary accounts. Lysyk, like several other auditors before her, wants the government to put the summary statements at the centre of its financial reporting. She noted that the government told the public in the 2011-12 report about an expected decrease in the "government general public debt" of $325 million. However, the government's total debt, including all government entities, is actually expected to increase by $189 million, she said. In the legislature later in the day, NDP MLA Trent Wotherspoon asked whether the government would adopt her recommendations. "It's simply not acceptable for a government to set its own accounting policies," Wotherspoon said." Stephen Harper And His Undemocratic Conservative Gov't Will Not Take A Vote On Changes To The Canadian Wheat Board To Farmers Because THEY WOULD LOSE! "NDP wheat board critic and Winnipeg MP Pat Martin said if the government holds a vote, and gets more than half of Prairie farmers to agree to do away with the monopoly, that would be the end of the debate. Martin said the government is instilling tremendous uncertainty for the grain industry in Canada and should put the brakes on the bill until the court challenges are exhausted." Fox News has been showing streets ablaze, violent clashes and firebombs thrown at security officers in Russia as aftermath to recent elections, but with one major problem - the images are not from Russia, they're from Greece! Conservative Agriculture Minister Gerry Ritz - Above The Law! The removal of the CWB’s single desk selling powers will almost inevitably result in either the disappearance of the CWB or the diminution of its scope and volume to the point where it is not a serious player in the market. Although farmers have indicated that they would like the option of marketing to either the CWB or to other buyers, in reality this choice is highly unlikely to ever exist. Once its single-desk selling powers are removed, the CWB will not be a viable alternative. This non-viability is not a function of insufficient desire or poor management. Rather, the inability for the CWB to operate in a so-called “marketing choice” environment is a direct consequence of the nature of pooling and of the structural realities of the grain industry at this point in time. Saskatchewan's Agriculture Minister reacted this afternoon to a ruling by the Federal Court of Canada concerning the Canadian Wheat Board. Agriculture Minister Bob Bjornerud stood in the Rotunda of the Legislative Assembly this afternoon and urged the Federal Conservative government to ignore the law, ignore the Federal Court's ruling and to proceed with a 'quick kill' of the CWB. 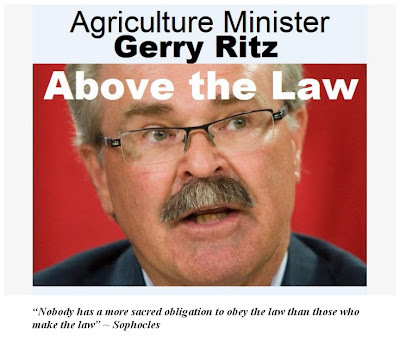 "A Federal Court judge has declared that Agriculture Minister Gerry Ritz broke the law when he introduced a bill to remove the Canadian Wheat Board’s monopoly without consulting the CWB or holding a Prairie farm plebiscite on the issue. Bill C-18 is now before the Senate. The court ruling was posted on the Federal Court website just before 1 p.m.
Agriculture Minister Gerry Ritz will hold a news conference at 2:15 to comment on the ruling. The chairman of the wheat board’s farmer-controlled board of directors immediately issued a news release calling on Ottawa to respect the court decision. "We call on Minister Ritz to comply with the spirit of this ruling and immediately cease actions that would strip away Prairie farmers’ single-desk marketing system without first allowing a vote by affected producers," Allen Oberg said from Ottawa, where he is preparing to address a Senate committee Thursday, asking senators to halt passage of Bill C-18. The legislation, if passed, would enable the government to dismantle the CWB single desk for western Canadian wheat and barley, without first having held a producer plebiscite as required under Section 47.1 of the Canadian Wheat Board Act. The ruling was issued by Justice Douglas Campbell of the Federal Court of Canada. On Tuesday, he heard more than six hours of arguments in Winnipeg from the federal government, the wheat board, a group called Friends of the Canadian Wheat Board and two interveners. In his ruling Campbell wrote: "Generally speaking, when advancing a significant change to an established management scheme, the failure to provide a meaningful opportunity for dissenting voices to be heard and accommodated forces resort to legal means to have them heard….Had a meaningful consultative process been engage to find a solution which meets the concerns of the majority, the present legal action might not have been necessary." Oberg said farmers should have the final say over changes to their grain marketing agency.. "As farmers, we pay for the CWB, we run it and we should decide what happens to it. We are pleased the court has agreed that the minister acted in violation of laws created in 1998 to empower farmers and give them a direct say in any changes contemplated to the CWB’s marketing mandate. In light of this ruling, the government should stop steamrolling over farmers’ democratic rights. "The minister now needs to do the right thing, obey the law and hold a vote – as he should have done from the beginning." Oberg and CWB farmer-elected director Stewart Wells appear Thursday morning before a Senate committee considering passage of Bill C-18. Oberg said the court ruling brings additional impetus for senators to reject the Bill." Did Canada's 5 Big Banks (with $22 Billion Profit) Really Need Tax Cuts From Stephen Harper? "Canada's big five banks made a record combined profit of $6.1 billion in the three months ended in November, with the full-year earning at $22.4 billion, a sharp rise over the previous year. The full-year combined result in 2010 was $19.5 billion, a 15 per cent increase. The banks benefited from strength in domestic retail banking operations and loan growth." -Harper says Billions in corporate tax cuts intended to 'brand Canada' as business friendly!! "For the larger part of human history, for example, people were sure that the sun circles the Earth and that we are at the center of the universe. It doesn’t, and we aren’t. The conventional wisdom that the rich and businesses are our nation’s “job creators” is every bit as false. [...] Significant tax increases on the about $1.5 trillion in collective income of those of us in the top 1 percent could create hundreds of billions of dollars to invest in our economy, rather than letting it pile up in a few bank accounts like a huge clot in our nation’s economic circulatory system. " Canadian Prime Minister Stephen Harper and his good friend, Saskatchewan Premier Brad Wall, both adhere to the flawed 'trickle down' economic theory. They firmly believe that if you stoke the rich and corporate sector of the economy, the lower working class rung will benefit. They are wrong. Their suppression of wages for working people and massive tax cuts for the rich have failed to bring any degree of economic equity for Canadians. "The wage gap between the top and bottom income earners in Canada is widening, largely due to tax policies, a new report from the Organization for Economic Co-operation and Development said Monday. The report found that the top 10% of Canadians in 2008 earned $103,500 on average, 10 times higher than the bottom 10%, who made an average of $10,260. This is up from a ratio of 8 to 1 in the early 1990s. The top 1% of Canadians, meanwhile, saw their share of the country’s total income increase to 13.3% in 2007 from only 8.1% in 1980. And the very richest of Canadians, the top 0.1%, had their share of income more than double, to 5.3% from 2%. The results suggest Canada needs to update its tax policies as taxes and tax benefits in particular have become ineffective in wage redistribution, the OECD said. The top federal marginal income tax rates declined markedly in the past 30 years, falling to 29% in 2010 compared with 43% in 1981. As well, tax benefits now only offset less than 40% of wage inequality, compared with more than 70% before the mid-1990s. "If someone had predicted a few years ago that Canada would fall into the embrace of right-wing nationalism, they would have been sent off to the nearest home for the mentally encumbered. A nationalism of the left, maybe. We had some of that, at least as conservatives saw it, in the Trudeau years with the National Energy Program, the Committee for an Independent Canada and the like. Pierre Trudeau was part of a political culture that was always to the left of the Americans. At one point, the State Department labelled him a pot-smoking leftist. Caspar Weinberger, Ronald Reagan’s defence secretary, mocked our armed forces, saying you could put our entire military on a football field and still have room for the game. In his pre prime-ministerial days Stephen Harper himself lamented how Canada had a European-styled socialist bent. To look now however is to see the dramatic degree to which the political culture is being reshaped. Patriotism pivots on pride in a resurrected military and morality-based missions. Pride in country is now linked to our refurbished armed forces and what Harper sees as moral crusades. National security, law and order, tighter immigration standards and bumper-sticker sports populism are among the features of a new right-wing nationalism. It is an accelerating trend and many Canadians worry that Harper, the anti-Trudeau, is taking it too far. Because there are moderate elements to his Conservative government’s policy-making, such as its work on the economy, the big shift isn’t always apparent. But the changes, as enumerated below, reveal a shakedown that sees the ideology and methodology of our governing party closely aligned with those of American Republicans. The Glorification of the Military: This is the new cornerstone of Harper nationalism. He boasts proudly that Canada is now a warrior nation and uses every opportunity to salute the armed forces. A recent report by the National Defence Department, in contrast to other years, says the Canadian identity should be shaped in good part by the military. It is 200 years since Canada was last invaded, but safeguarding Canada, says the prime minister, is his and foremost priority. A Strict Law and Order Regime: The government’s omnibus crime bill and jail-building program, and its hard line on drugs have pushed our criminal justice system further to the right than anyone can recall. Draconian sentencing standards that have failed in the U.S. are being instituted here. Civil liberties are down and state surveillance is up. Legislation will compel internet service providers to disclose customer information. Message Control. Central to right-wing nationalism is information control and it is one of this government’s major priorities. A vetting system of unprecedented scope requires all communications to be filtered through central command. Much is done to limit access to information in a government often criticized for its secrecy. Fifteen hundred communications officers are at work massaging the message to fit the governing agenda. Bureaucrats, including those at the Privy Council Office are pressured into becoming propagandists. Flag-Waving Populism. The Conservatives are melding war and sport to appeal – Don Cherry style – to the masses. They raised eyebrows by using the opening ceremonies of the Grey Cup as a chest-beating tribute to their contribution to NATO’s Libya campaign. 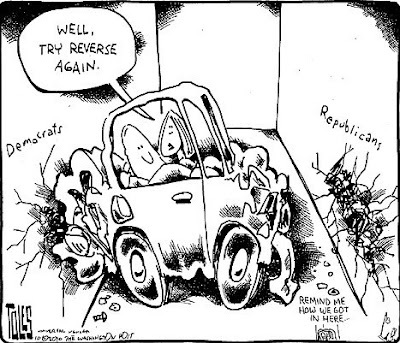 Anti-Democratic Instincts. Harper’s government has shown no hesitation to bully its way through democratic barriers. It’s padlocked parliament, been the first government ever to be found in contempt of parliament and, more recently, imposed closure and time limits on parliamentary debate at a record-breaking clip. Less Tolerance. The Harperites, while not xenophobic, are less inclined toward multiculturalism and inclusivity than previous governments. They have imposed tighter immigration requirements, narrowed the definition of citizenship and blocked entry to war resisters and other unsavoury types. Their less than favourable take on the United Nations resulted in their being denied a seat on the Security Council. Anti-Intellectualism. In appealing to their populist base, the Conservatives boast of going by gut instead of erudition. They reject and sometimes suppress research and empirical data. Moves against the long-form census and the Justice Department’s handling of crime legislation and the muzzling of government scientists are foremost examples. The Smearing of Opponents. 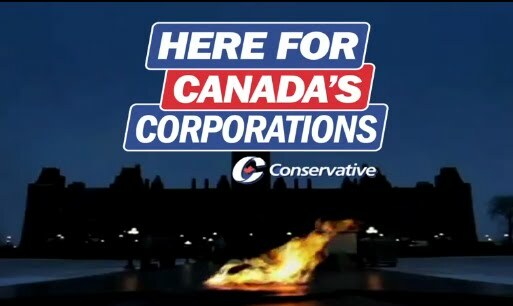 A favorite Republican Party tactic, Harper Conservatives make frequent use of it with manslayer attack ads and demonization of critics, the latest example being their accusing NDPer Megan Leslie of treachery for opposing, on a Washington visit, the Keystone XL Pipeline. Demagogery is a favoured tactic of right-wing nationalists. Harperites impugn critics of the military as being unpatriotic. Anti-Labour Bent. Union-bashing, particularly since the NDP has become the official opposition, is a mainstay of the Tory way. The government has used heavy-handed tactics to prevent strikes by postal workers and Air Canada flight attendants. It is considering changing the Labour Code so as to define the economy as an essential service, a move which would give the government extraordinary anti-labour powers. Cult of the Leader. Right wing nationalism requires the elevation of the leader’s status. The Conservatives have ordered civil servants to change the nomenclature from Government of Canada to the “Harper government.” They initially denied this, only to be caught out by leaked documents. Harper is a self-defined incrementalist. While his policy-making, as Flanagan suggests, is not overly radical in many policy domains, it is his mode of operating, his command style, that has brought the system to heel and, most importantly, opened the door to bigger policy changes down the line. Having just embarked on a majority term, he has many years to build on what he has begun. With time, incrementalism defies the smallness implicit in the term. In foreign policy, he has already moved Canada, for the first time in its history many would argue, to the right of the United States. You won’t hear anyone from the Pentagon or the State Department belittling Canada’s military any more. On domestic policy he is still handcuffed in many areas by entrenched Canadian traditions. It will take much work to reform those. But his determination cannot be underestimated. Harper, who at root is still a Reform Party ideologue of old, is out to change the entire concept of the Canadian identity as defined by the prime minister, Trudeau, whose policies he detested. Thus far he’s made remarkable progress. It is a long way from the politics of peacenik Pierre to today’s Harperian state."